Let me introduce you to my second Doughnut Week contribution: Lemon Berry Doughnut Trifles! Ok, I admit that I may have gone off the beaten path with this recipes, especially considering the fact that it uses store bought doughnuts. 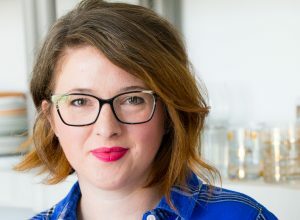 But, if you’re like me (which if you’re here, I assume we have at least a few things in common) you sometimes want a dessert recipe that can be assembled in a short amount of time, but that’s still special, a touch fancy and oh so scrumptious. 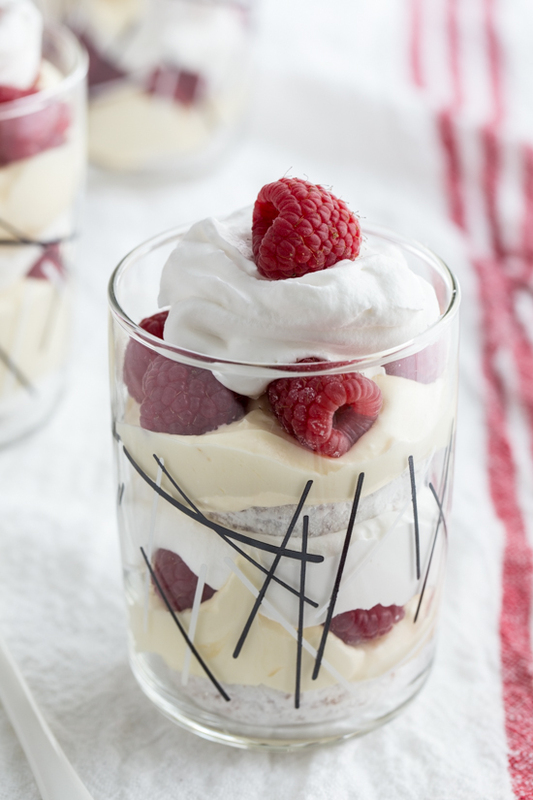 Well, if any of that sounds good to you, then put these Lemon Berry Doughnut Trifles on your short list. After Monday’s round of doughnutty goodness, for which I contributed my Chai Spiced Dougnut Muffins, I’m taking a little help from the store and playing around with trifles. I can’t seem to even think the word ‘trifle’ without saying in my head ‘beef sautéed with peas and onions’ and if your’e a fellow Friends fanatic – you know what I’m talking about. Anyway, for these individual trifles, I wanted something bright and fruity, which was somewhat surprising because I typically lean toward rich, chocolatey treats. But then again, I’m all over anything with lemon. I’m a lemon lover, after all. By the way, did you see yesterday’s Meyer Lemon Scones? Ugh, so good! I’m definitely on pastry overload this week. Go big or go home, amiright? Unfortunately, my jeans don’t agree with that sentiment. 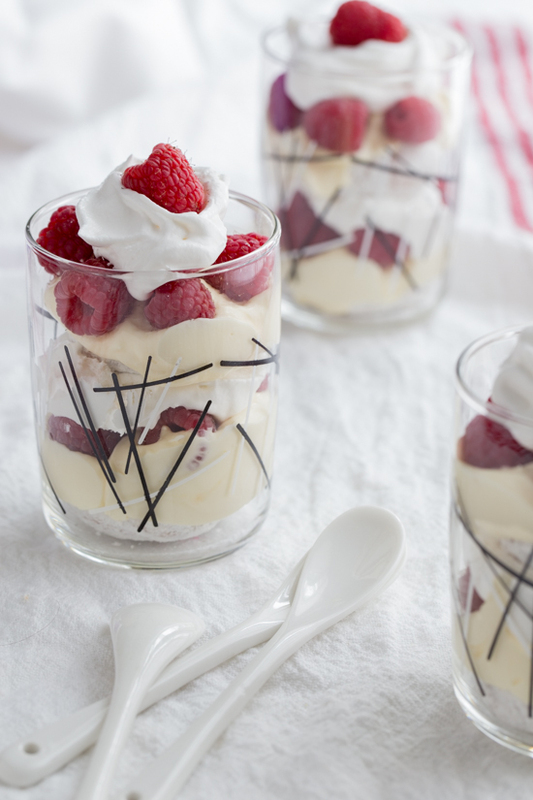 These little trifles were quick and simple to put together, with mini doughnuts, whipped topping, lemon curd and raspberries. In fact, my kiddos actually did all the heavy lifting. It’s fun having recipes that they can very easily help out with, and layering ingredients into a cup or mason jar is right up a preschooler’s alley. And then they inhaled them. It may have been that the kids made the trifles themselves or the fact that I was letting them eat doughnuts before lunch, but I like to think it was because the trifles simply tasted delightful. Delightful, indeed. In a small bowl, stir together 1/2 cup of whipped topping and lemon curd until completely combined. Gather the rest of your ingredients to form an assembly line. Place one mini doughnut in the bottom of 4 mason jars. 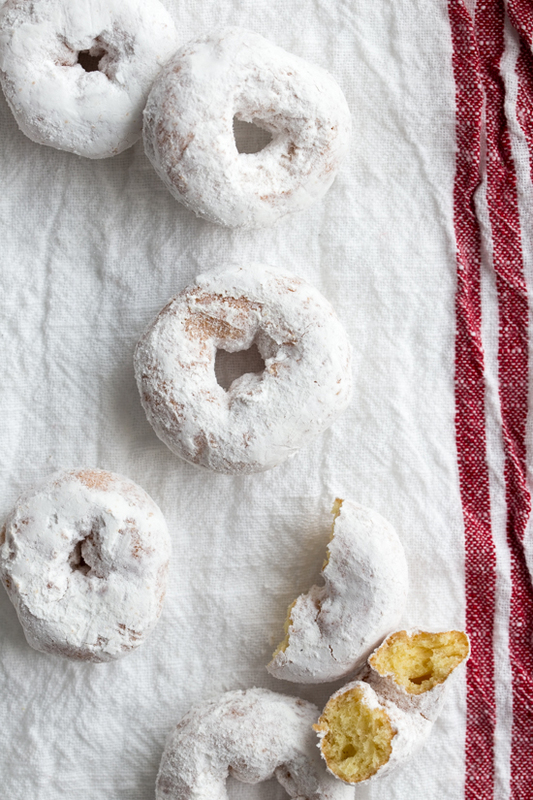 Top each doughnut with a scoop of the lemon curd mixture. 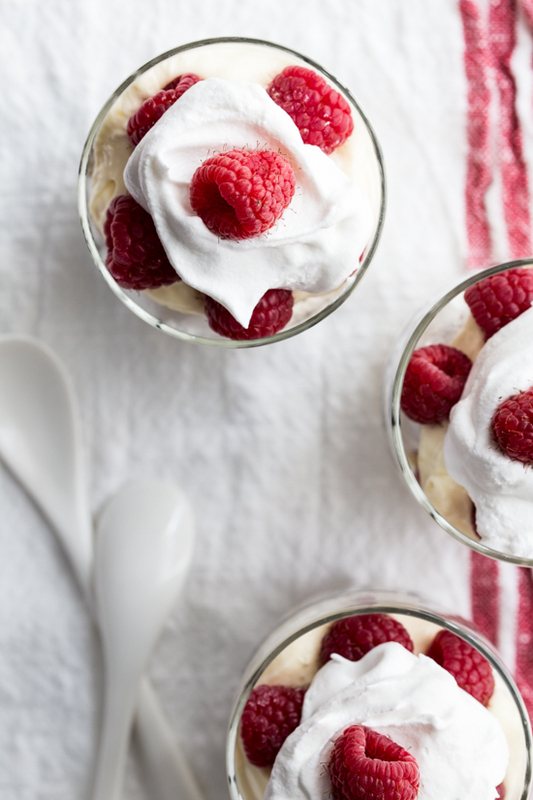 Place about 5 raspberries on top of the lemon curd and add a spoonful of whipped topping. Repeat this layering one more time and top with one more raspberry. Eat, repeat and enjoy! I used my favorite vintage glasses for these, but they also fit perfectly into 1/2 pint mason jars. The nice thing about making them in mason jars is that you can make them ahead of time, pop the lid on and stick them in your fridge until you're ready to serve! 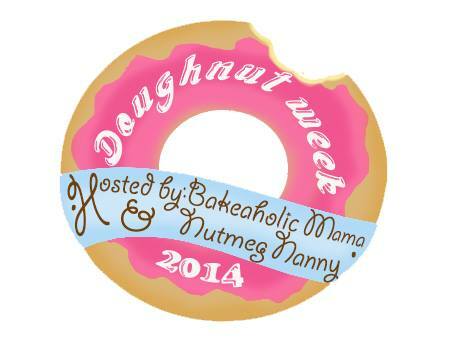 I love your twist on doughnut week! What a lovely trifle! What a BRILLIANT way to enjoy doughnuts!! I love this! Love simple desserts like this. And it’s so gorgeous!! Um, a doughnut is a doughnut no matter how you powder it! Simply stunning! I need this trifle!!! I have tons of lemons to still use and this seems like the perfect way to use them. What a lovely, easy, delicious recipe. Truly, the perfect combination!! Love these! And trifles always remind me of that scene too. I miss that show. Emily this is beautiful! I have to laugh because I made the same Friends reference in my FB sharing post…haha. I cannot hear the work trifle without thinking of Rachel. My husband is seriously obsessed with those powdered donuts from the grocery store. There’s absolutely no shame in using a little shortcut in dessert making, and actually, for me, it’s almost always a requirement. Gorgeous. i love doughnuts. this sounds yummy!